And the camera accessories keep coming in. 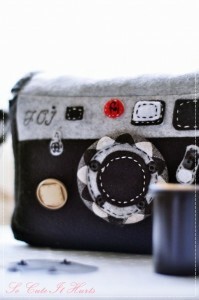 This find is a “film role cozy” lovingly formed as a Leica by “So Cute It Hurts”. So how do you dress your camera gear up?